Well, it can be sometimes. I just recently went on two trips to attend two different summits for work. I attended the BazaarVoice Social Commerce Summit in Austin, TX and the MarketLive 2010 Summit in Sonoma, CA. 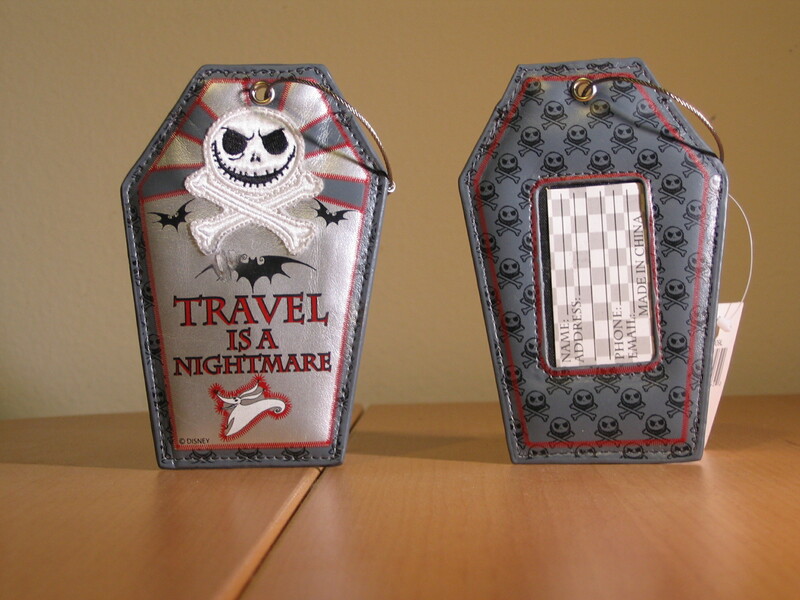 So, during one of my usual trips to Disneyland last month, I found that they sold “Nightmare Before Christmas” luggage tags. How awesome is that? And just in time for my two trips. 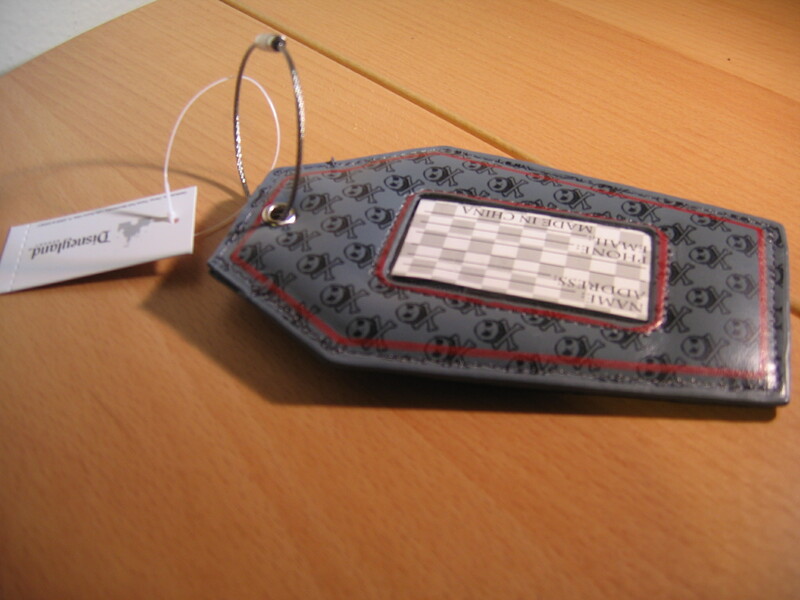 I bought the luggage tags from the “Greetings from California” store in Disney’s California Adventure park. They cost $9.95 each and have a nice thick feel. 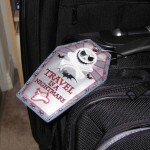 The front of the tag shows an embroidered Jack Skellington head with a set of crossbones underneath him. There are three bat that surround the crossbones. 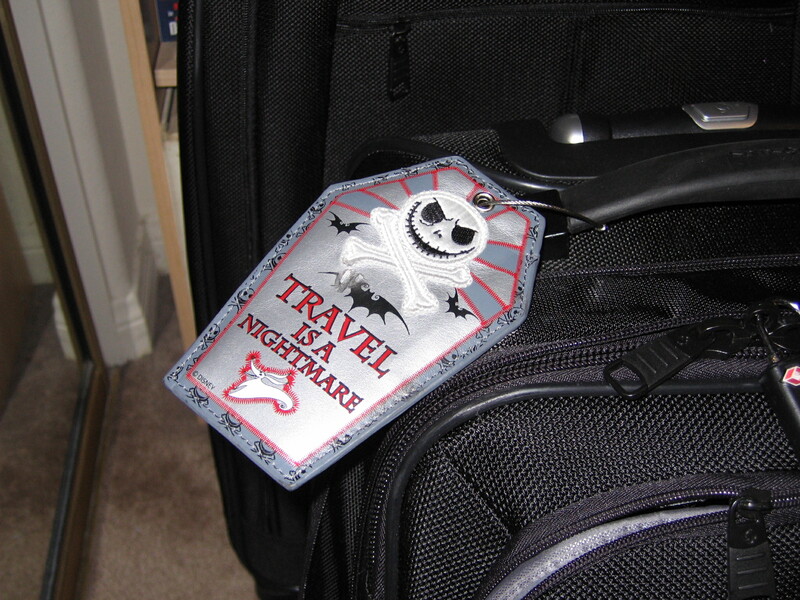 The red lettering reads “Travel is a Nightmare” which I think is very cute (and quite accurate to the truth). 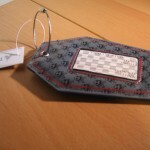 Zero is at the bottom of the tag and outlined in red. 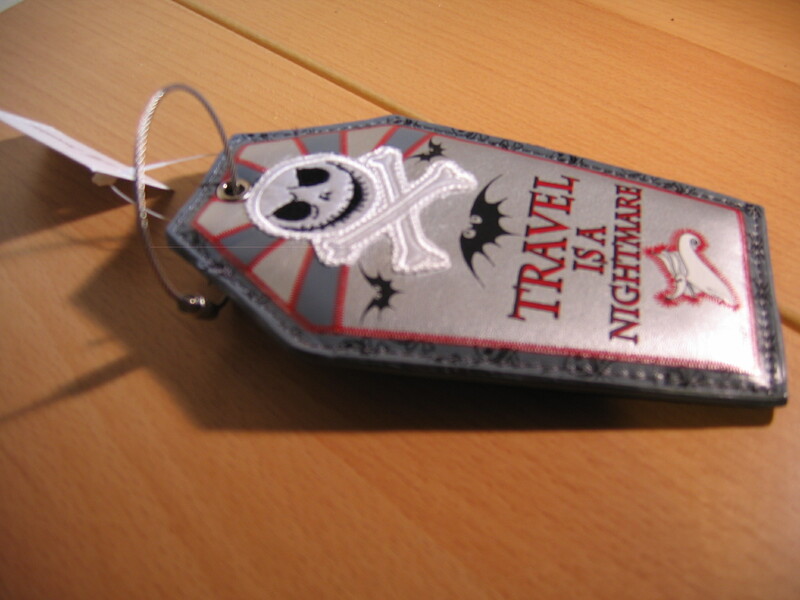 On the back of the luggage tag, there is a series of black outline Jack heads with the crossbones. It also has the transparent vinyl to show your information card. 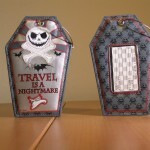 The very top has this metal loop that allows you to hook your tag to your bag. 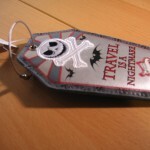 The luggage tag seemed to survive the two trips although it got a little damaged. The front with the large bat area seemed to got scratched and/or burned. Either way, the durability of it seems decent so we will see how long it will last. Not only does it look really cool, but it makes it much easier to spot my luggage in the baggage claim area.